"By putting Russia on the same level as 'authoritarian countries' helping Edward Snowden escape, the United States is summoning the world to the distant days of the Cold War, without first clarifying whether or not the statements from the ex-NSA analyst have any basis. If, without any respect for the most elementary rights to privacy for citizens, the global 'Big Brother' described by Snowden is an acceptable practice, it is America itself that is put into question." Are U.S. officials mischaracterizing Russia because of Moscow's refusal to hand over Edward Snowden? The United States and Russia are involved in a diplomatic tussle because of Edward Snowden, the National Security Agency (NSA) analyst who leaked the abusive surveillance practices of the North American secret services. 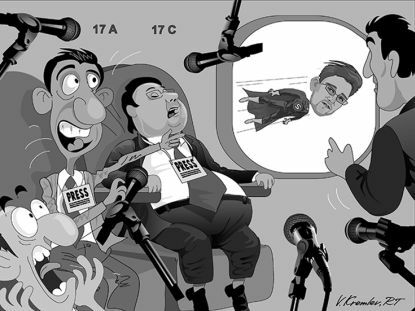 It is obvious that Snowden's presence at the Moscow airport is uncomfortable for the Kremlin. One need only hear President Putin's statements stressing that the sooner the old NSA analyst chooses his destination, the better. 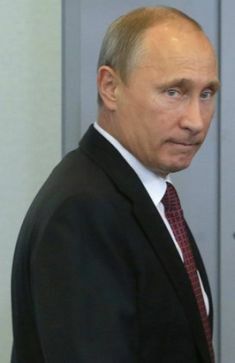 However, it is just as evident that Moscow will do nothing to make life easier for the Obama Administration, which intends to try the man, now considered a traitor, who rocked credibility and trust in the American secret services. By putting Russia on the same level as “authoritarian countries” helping Edward Snowden escape, the United States is summoning the world to the distant days of the Cold War, without first clarifying whether or not the statements from the ex-NSA analyst have any basis. If, without any respect for the most elementary rights to privacy for citizens, the global “Big Brother” described by Snowden is an acceptable practice, it is America itself that is put into question. Perhaps that explains the rush to apprehend the informer. But it is this, too, that could plunge us into a diplomatic battle with unpredictable consequences. Mediapart, France: The NSA is Spying on Us! What a Surprise! El Espectador, Colombia: Please Consider Yourself Watched! Libération, France: WikiLeaks: A War, But What Kind of War? Novaya Gazeta, Russia: An 'Assange' on Both Your Houses! Jornal de Negócios, Portugal: More than We Wanted to Know. Or Maybe Not! Al-Riyadh, Saudi Arabia: Saudis Ask: Who Benefitted from WikiLeaks Disclosure? available from Amazon and Barnes & Noble.